Aluminized steel construction with a modular design. Features a heavy-duty chrome top grid and a front service shelf. 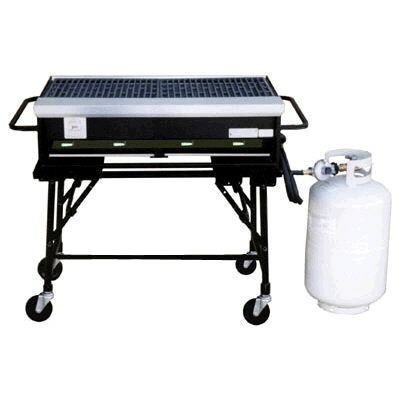 A snap-in leg system with heavy-duty casters make the grill easy to transport. The 30" grill has 4 Separate burner/controls. Requires 1 - 20lb propane cylinder. Propane charges in addition to rental. * Please call us for any questions on our propane grill 30 inch rentals in Pipersville PA, Hatfield PA, and Bucks & Montgomery Counties in Pennsylvania.